They say the key to any healthy human relationship is effective communication. This principle also applies to the relationship between a customer and a customer service or sales representative. Active listening is the foundation of effective communication. Behind every customer call is a real person, looking for guidance or a solution to a problem. It’s critical to engage in active listening in order to make that person feel truly heard, understood, and served. 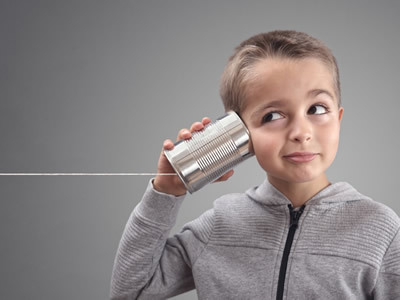 Here’s why active listening is one the best communication tools every customer service call center representative should master. Vocalizing our thoughts and feelings, regardless of our gender is an innate part of our human experience. In fact, we even have a vocalization protein in our brains! As humans, we listen to far less words than we think about. On average, humans are able to actively listen to 125 to 250 words per minute, but can think about words at a rate of 1000 to 3000 words to per minute. So, even though actively listening may be a challenge, it’s critical to providing a great customer service experience. In fact, research finds that 60% of business problems can be attributed to poor communication. And, since phone calls are still the consumers’ preferred method of contacting customer service, exercising the skill of active listening will reap valuable returns for any organization. One of the best ways to reassure someone that you’re really listening, is of course, to ask a lot of follow-up questions. This keeps the conversation alive! I can tell right away when my husband isn’t really listening to me, because he’s completely silent while I’m talking. Sometimes this means he’s taking in what I’m saying (rarely! ), but usually it means he’s only half listening. Ironically, it’s actually when he’s being more vocal – asking a lot of questions, following up on previous points, and engaging in dialogue, that I truly feel heard. It can be really tempting to want to wrap up each customer call as quickly as possibly, and move on to the next person or ticket in your queue. But, the customer service representatives who truly understand effective communication know that each customer call needs time. Customers shouldn’t be rushed. 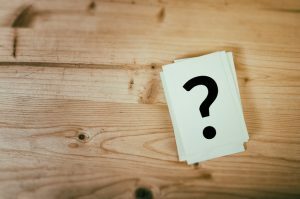 Asking follow-up questions makes customers feel that they are being given the time they need to voice their concerns and even ask their own questions. One of the best ways to not have to rush a customer call is by giving the customer the option of receiving a call-back. This allows customer service reps to really take their time with calls, since they don’t have to rush through their queues. And, it makes customers feel as though their time is valued, rather than being wasted waiting on hold. Most people call or contact customer service if they’ve encountered a problem with a company’s product or service. That means, more often than not, call center agents have to exhibit a great deal of calm and patience as they navigate each customer’s concerns. Active listening is especially critical in situations where customers are upset, frustrated, and perhaps exhibiting some hostility. By asking follow-up questions, relaying back their situation, and empathizing with their frustrations, customers feel truly understood and taken care of. We can all relate to being on the phone with a call center agent who is clearly stuck on their call script, and doesn’t seem to care about your concerns. The purpose of having real people at customer service call centers is to offer that personal touch and interaction for consumers, rather than them having to go through automated messaging. Being able to have a real, authentic conversation is what keeps consumers engaged and coming back. Call center strategies that lose that authenticity ultimately lose customers. There’s a reason our mothers drilled this saying into us, “you have two ears and one mouth; listen twice as much as you speak”. Actively listening truly is the key to effective communication. Developing and using that skill in customer service calls means having the opportunity to win a raving, life-long customer. 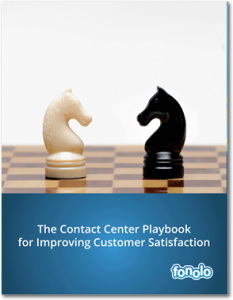 In this handy playbook, contact center leaders will learn the ins and outs of improving customer satisfaction.